The large, expansive side of a bus offers the perfect surface for applying a memorable and professional vinyl bus wrap. The professionals at Apple Graphics know that vinyl wraps are on the cutting edge of the advertising industry today, and we can help you design and install an amazing bus wrap for your tour bus, company transport, or promotional bus. We’ll make sure people know you’re coming, whether you’re advertising a new sale for your company, or you’re telling everyone about your band’s upcoming tour schedule. Let us take your company’s humble logo and transform it into a piece of art on the side of a bus with one of our custom wraps. Think of a bus as a giant mobile billboard. Static billboards on roadsides or in bus stop shelters pale in comparison to mobile vinyl wraps. 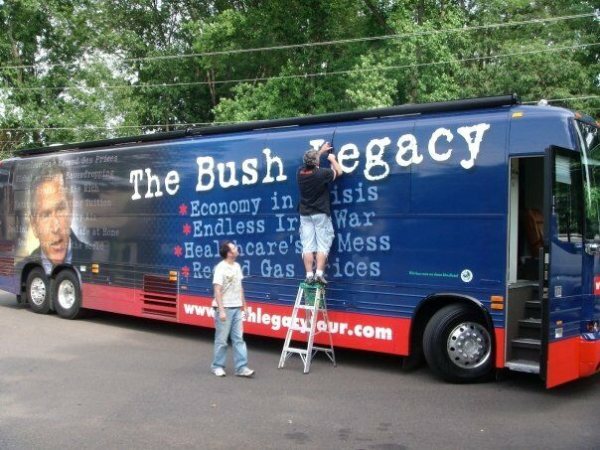 Think of all the people who might see a bus wrap when it drives around town, across the state, or clear across the country. Our creative staff has a variety of ways to install your Philadelphia bus wrap. In fact, we recently wrapped several SEPTA buses in Philadelphia, and our proud to showcase our work for potential clients. We offer the option of wrapping the entire bus or just a single side. When you come to Apple Graphics to discuss your project, we’ll offer our recommendations and get to work designing an amazing graphic for your organization, band, or business. It’s important to combine the benefits of mobile advertising with a memorable and easy to read visual. You don’t want people looking at your bus wrap to miss the entire message. Clarity is exceptionally important with a vinyl bus wrap, and that’s where our talented graphic designers can help you make the most of your bus wrap. If you’re interested in covering a bus with a dynamic and cost-effective vinyl advertisement, then the talented technicians at Apple Graphics are here to deliver. 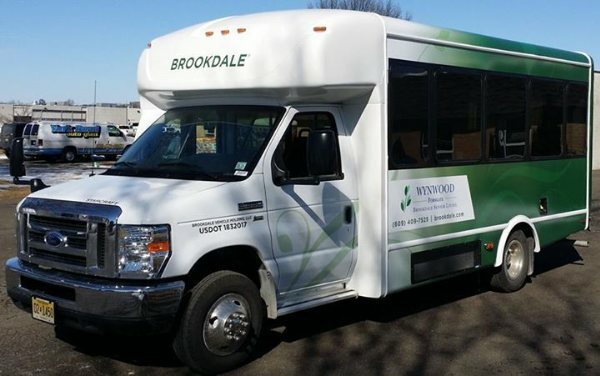 We specialize in wrapping transit fleet, much like our work with SEPTA, and we offer both full and partial wraps to help you make the most of the valuable advertising space on your bus and get your message to thousands of potential customers. All business owners can benefit from a bus wrap. Perhaps you own an art gallery, and you want to promote a visiting artist or a collection that will be on display for the season. You might want to consider wrapping a shuttle bus or another type of public transportation with our Philadelphia bus wraps. After a few days, thousands of eyes will see your vinyl wrap’s massive advertisement about the visiting artist at your art gallery. At Apple Graphics, we take pride in wrapping vehicles for your fleet. Transit fleet graphics and wraps are the single most beneficial way you can advertise your business. We love working with contractors, freelancers and new entrepreneurs who understand that mobile advertising will get you noticed and will also help you brand your company in the Philadelphia area. Our talented designers will create the perfect concept for your business that will work with your set budget and will allow you to expose your company to potential clients and customers. All of our certified vehicle wrap installers are trained by the best in the industry and all have completed the Vehicle Wrap Training Course.